Employees of Butterfield Group companies around the world joined forces with local environmental groups to take part in the International Costal Clean-Up on Saturday, September, 16th. 267 Butterfield team members cleared 113 bags of trash and recyclables from public spaces in six countries during the first of what will become an annual Community Action Day for the Bank. 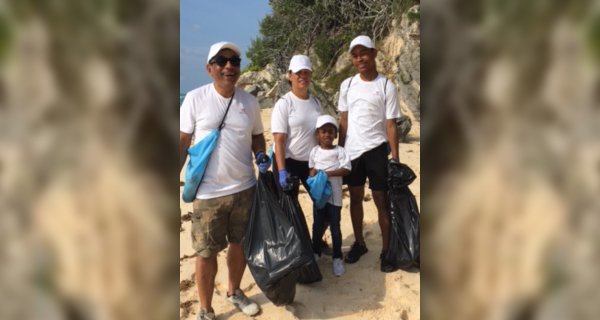 In Bermuda, more than 100 team members turned out at Warwick Long Bay to assist charity Keep Bermuda Beautiful with the local coastal cleanup. They combed the beach, surrounding walking trails, the parking lots and playground, collecting 12 bags of trash, and 8 bags of recyclables such as tin and glass. 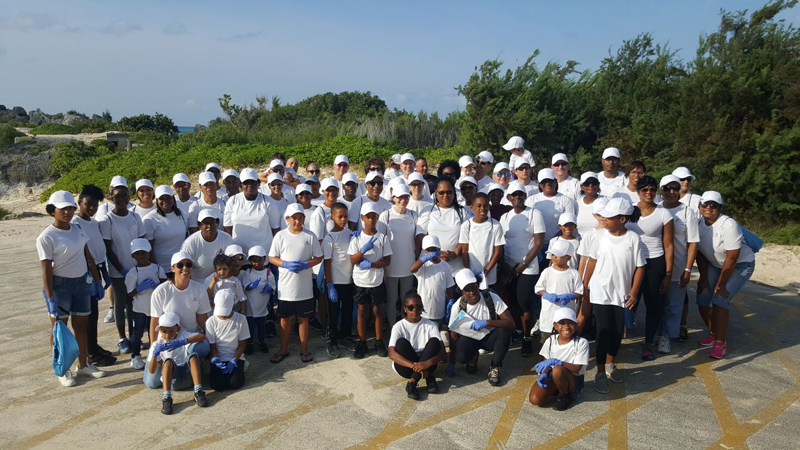 The Cayman Islands team saw over 90 employees and family members clear trash from both the East and West sides of Coe Wood Beach in Bodden Town, Grand Cayman. They gathered 63 bags of trash weighing over 680 lbs. 20 Butterfield employees and their families in Halifax, Canada collected 14 bags of trash at Sir Sandford Fleming Park. It was a great morning of team building for Butterfield’s newest office. The children managed to find wooden boards which they recycled into a seat, and the team also found ‘Halifax rocks’—decorated rocks with positive messages hidden to spread positivity. In keeping with local tradition, the team plans to add their own messages to the rocks and re-hide them for others to find. In Guernsey, 28 employees and family members turned out to clean Havelet Bay in St. Peter Port, Guernsey. The day was a little rainy, but the team persevered and collected three large bags of rubbish, including a road sign, metal pipes, fishing rods and BBQ forks. The UK team comprised 15 employees and family members who collected rubbish around the Tankerton area in South East. The most ‘exciting’ find was a boot and a pair of pants. Most of the trash collected consisted of bottles or small plastic pieces. In The Bahamas, a team of 14 employees and family members got together to clean up Saunders Beach on New Providence, where they gathered enough trash to fill 13 large bags. Michael Collins, Chairman and Chief Executive Officer, said, “We’re very proud of the efforts that Butterfield’s team put into the 2017 Coastal Cleanup. “We had 267 individuals take time out of their weekends to help clean beaches and public places, reflecting the priority we put on protecting and improving the natural environment in the communities we call home.